Toby the two-nosed dog is saved from being put down. - Rod and Kate for convenient local dog walking. 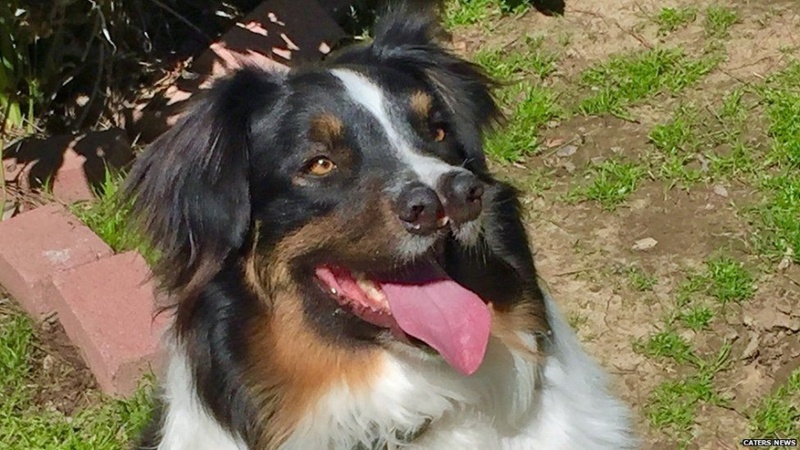 commented on "The new owner of a dog with two noses says the Australian Shepherd is the "the sweetest dog on Earth" after saving him from being put ..."
Toby the two-nosed dog is saved from being put down. The new owner of a dog with two noses says the Australian Shepherd is the "the sweetest dog on Earth" after saving him from being put down. Toby was found by an animal rescue group roaming the streets of Fresno, California. The group were about to get rid of him but Todd Ray stepped in to look after Toby. For Todd, having "different" looking pets isn't anything new as he owns the Venice Beach Freakshow - dedicated to the weird and wonderful. He also holds the Guinness World Record for the largest collection of two-headed animals. Todd says: "I'm fascinated by weird animals' beautiful differences and by the magical lessons that they teach us." Since being adopted, the unique Australian Shepherd dog has been a huge hit at the attraction. Although there were initial concerns that Toby's nose may result in health issues, a vet says he's in "perfect health".